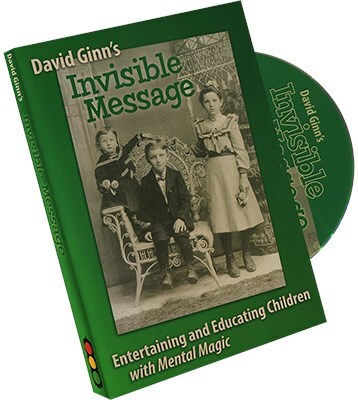 For nearly 40 years magician/author David Ginn has been entertaining and educating children in 300 yearly school programs. During that time he developed the "Invisible Message" system of creating mental magic routines that children ENJOY. These routines are often educational, and they are ALWAYS FUN! By following David's advice on this DVD - mixed with live & studio performance - you will learn how to create your own routines and produce the same kind of kidshow fun! Once you understand and learn David's system, you'll be using it for the rest of your performance life. And children will love YOU for doing this!